Seen from the back seat of the car. Photo courtesy of MJ Greene. In 2007, MJ Greene was a 37-year-old Australian blonde who had never worked in the Middle East or Central Asia. That's when she took a job in Afghanistan working as a general manager for TerraTota, a NATO-contracted multinational that provides alcohol within the strict Muslim country. Her fish-out-of-water memoir, , describes in self-aware, diary-like reflections how she tried to fight the corruption she encountered — while dodging suicide bombers on a regular basis. The book will keep you engaged on your next long-haul flight. Here are excerpts. In the early days of my tenure in Afghanistan, I struggled to overcome my fear of not knowing whether the car next to me held a suicide bomber. Eventually, as I said, I learned how to do this. But it was a struggle in the beginning. Every day. I had to be constantly aware of who was traveling next to me. Were the number plates original, or were they from Pakistan? It was unnerving to have to be so vigilant, hyperalert at every single moment. I remember one time when it was so dangerous that I traveled lying on the floor of my vehicle. My driver, Hasib, placed black plastic over the rear passenger windows. We had been warned of several imminent attacks — suicide attacks. Al-Qaeda was looking for soft targets, easy prey traveling in soft skin (that is, unarmored vehicles). That was us. It had become almost a predictable occurrence for a suicide bomber to carry out their attacks between the hours of 6:00 a.m. and 1:30 p.m. We often believed that this was the time when they were most driven, most zealous, and also the time when their targets were most vulnerable. As I lay on the floor of the vehicle, I felt the sweat pouring out of my body, pooling beneath me where I pressed myself against the rough carpet. It was dark inside the vehicle because of the black plastic on the rear windows. My heart hammered in my chest, and I couldn't catch my breath, even though I knew a few deep breaths would help calm me. The blood rushed through my veins, throbbing at the base of my jaw and making my head ache. At last, Hasib said, "We're okay, Boss." Part of my role as GM was not only to oversee all retail operations on the ground in Afghanistan but also to control TerraTota's most volatile commodity and greatest resource — alcohol. With the exception of fuel, alcohol was the most sought-after product on the black market. We were living in a land where 95 percent of the world's opium supply came from, and where alcohol was strictly prohibited. I couldn't help but think about my school days when we learned all about the era of Prohibition in American history. Corruption and deception had been rife then too. The situation I found myself in here in Afghanistan was not really much different, not essentially anyway. I was living in a country where it was AH 1385 (the year in terms of the Islamic calendar, as opposed to our then 2007) and where the people claimed to live and die by their strict Muslim religious and cultural beliefs. But did they? I pondered that often. It seemed to me that the only difference between the days of US Prohibition and contemporary Afghanistan, though separated by ninety-odd years chronologically, was that Afghanistan had no speakeasies. Alcohol was permitted as long as it was supplied behind the wire and under the watchful military eye of ISAF (International Security Assistance Force, the multinational military forces in Afghanistan led by NATO). Contrary to the Muslim religious beliefs that prevailed throughout the country, alcohol was also easily available in the dark backstreets of Kabul and in the surrounding bazaars. Inevitably, this led to as much opportunism as bathtub gin, to borrow again from Prohibition. But people are people, and most of them will have hidden agendas no matter where they are; it's part of human nature. The long and short of it was that it was impossible to trust anyone in the environment where we worked in Afghanistan. There was no way of knowing "who's who in the zoo," as Tucker, my warehouse manager, always phrased it. It was possible that our local Afghans would pass on information to the Afghan authorities, who in turn would give them bakshish. Bribery was rampant. Our local Afghan staff would eagerly offer information in exchange for the money the police would readily provide. All this meant that the police, upon receiving this information, would be able to intercept our trucks transferring the alcohol, and then that would be the last time we'd see our stock. In addition, Dr. Asadullah, the landlord of the warehouse we currently occupied, had threatened us. 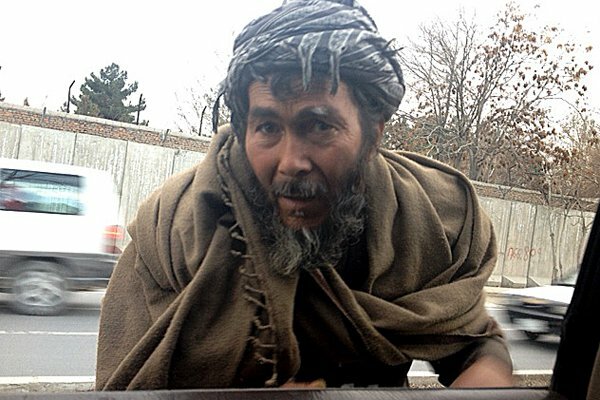 He was a typically corrupt Afghan businessman who, although a doctor by training, chose a different path for earning a living. He wanted us to buy potatoes from him as part of the food supply to the troops. As this never would have passed the food safety regulations, there was no way that we would consider him as a vendor. He also wanted me to supply him with whiskey, informing me that Kurtis had promised him a case. This was more than likely a trap designed to catch us selling alcohol to a local Afghan, which not only would have landed me in an Afghan prison but also would have jeopardized TerraTota's contracts with ISAF. I wasn't prepared to compromise my moral values. Nor was I keen on continuing to have to deal with Dr. Asadullah on a regular basis, which I would have to do for as long as he was our warehouse landlord. We knew that Dr. Asadullah was, for lack of a better term, "in bed with the government," so he had more than likely organized the would-be trap with his influential friends. I will never forget the day he came to visit our warehouse for an inspection prior to our vacating the site. His wife, Mina, accompanied him, and she was almost hysterical with rage, as she had come the day before to check the premises only to discover that there were no doors, windows, or partitioning. Tucker had decided to remove all these materials, which infuriated our landlords to no end. It was their belief that regardless of whether the building had been modified by us or not, any refurbishments should remain on the premises. I now had the privilege of appeasing the situation, dealing with both Dr. Asadullah and Mina, whose rage-whipped hysterics had turned her into quite the harpy indeed. After I saw the warehouse for myself, I decided to meet our landlords outside the warehouse gate. I later learned that this was a very brave move on my part. I had originally wanted to go outside with my operations manager, Sean, but he disappeared just before we were ready to go. In the end Tucker and I went to meet them. Dr. Asadullah and Mina were both very astute, well-educated people — a doctor and businessman and a businesswoman. Not only was she involved with all sorts of property dealings, she also participated rather visibly in programs for Afghan women. I greeted them at the gate, playing up the fact that I was new. "I'm here to rectify any issues," I informed them, keeping my tone courteous but firm. I knelt on the gravel, taking notes on what transpired and writing down their concerns. Dr. Asadullah appeared to be receptive to my responses and demeanor. "Please ... come," he said, offering me a seat in the back of their car. As I was still relatively new to this environment and quite naive, I didn't realize at that time how dangerous accepting this offer really was. Tucker later confessed to me that he had visions of them kidnapping me by simply driving off with me in the back of the car! Thankfully, nothing that dramatic ensued. I perched on the backseat, continuing to speak in a calm tone of voice. "Everything will be put back in its rightful place," I assured Dr. Asadullah and Mina. I had learned earlier that Mina had already put a previous GM in an Afghan prison as a result of a dispute, and anyone who asks Dr. Asadullah will learn that he used his political influence to have the man released. Dr. Asadullah takes great pride in both using his political influence and letting those in his midst know just how much influence he wields. Skirting corruption — or maintaining balance while on its slippery slope — remained a full-time job, but the more I cultivated my resilience, trusted my intuition, and fine-tuned my moral compass, the more confident I remained that I would not succumb. It was a tough environment, but I kept telling myself that I was tougher. This was excerpted from , by MJ Greene, and is reprinted with permission courtesy of iUniverse. 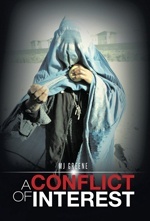 MJ is the author of , a memoir about working in war-torn Afghanistan.